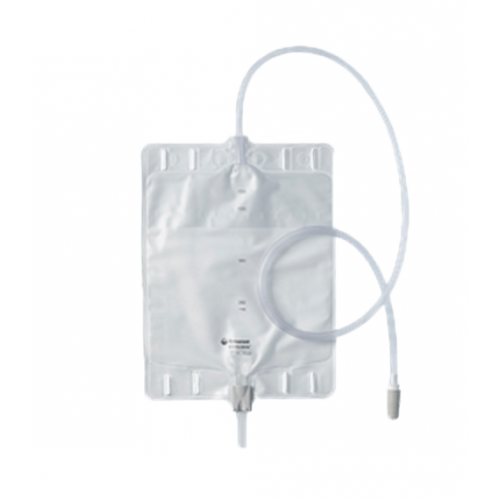 Coloplast Conveen Extra Large Leg Bag/Bedside Drainage Bag- Extra large drainage bag with anti-reflux valve, volume markings, 34" pre-attached, anti-kink, Latex-free tubing and soft cloth backing. Safe, simple closure. Do these extra large bags come with straps to fasten them to your leg? Or at least have the button holes so you can use straps? The picture and description do not make this clear. OK, straps are not included. What straps will work to use these as leg bags? Will the Conveen Security+ Fabric Leg Bag Straps work? If not, what do I need to buy? James, those vertical slits you see in the picture at the upper and lower edges of the bag are for common button arrangements on various brands of straps. We use Bard straps that we cut to our desired length. This all probably answers your question about straps being included; they are not. What is the capacity of these bags in ml? My husband is a new ostomy patient and very pleased with this bag for overnight. We use with the BARD wide leg strap. How long should these bags be used? Should it be replaced monthly? Replacement frequency largely depends on usage. Since we can't make any recommendations about products on our site, we recommend speaking to a medical professional for the best answer. Product does what is needed, at a good price. I am glad that I went with this item. Delivery was quick. 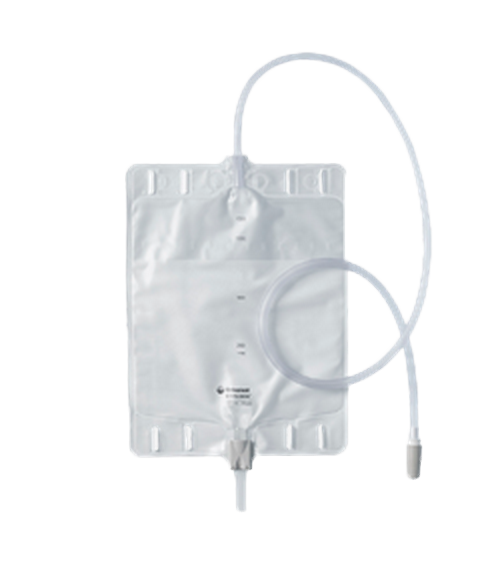 This catheter bag is great! It is so much better than the traditional cumbersom drain bags. The only thing I dislike is one side of the bag is a soft fabric material, & everything sticks to it. Best overnight bag ever. Not as cumbersome as most overnight bags are, much lighter weight. Cannot order directly from vendor but found them through vitality medical for a great price. The most important thing of a leg bag should be secure closure. And it does its job in that way. Easy to open and close, thus far I have never had any leakage. Pretty cheap, I think it's a good deal. Thank you!